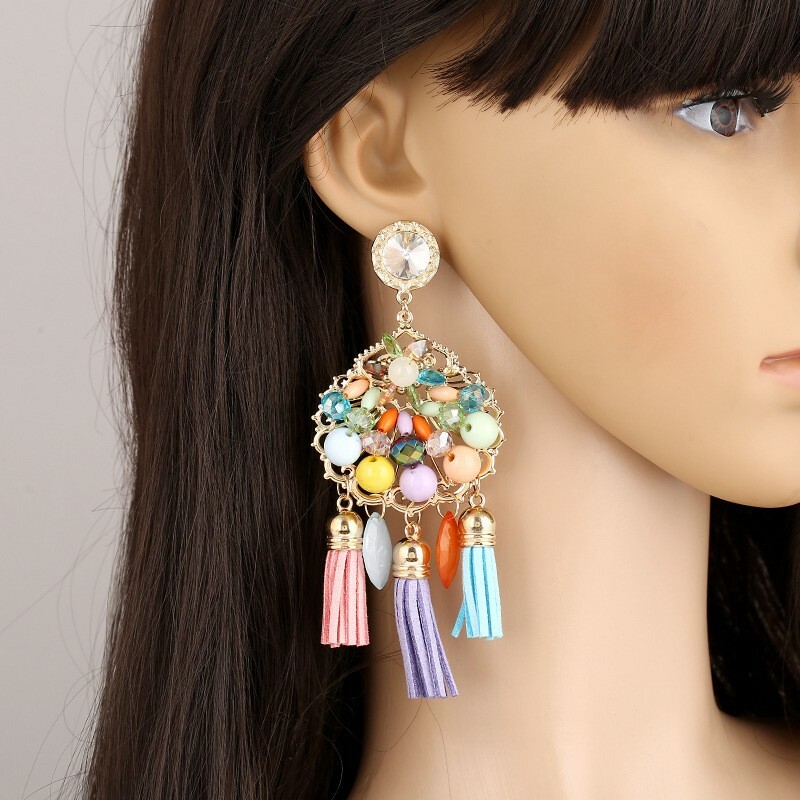 Get the look of delicate beads, enjoyed in pleasantly surprising when you wear these colorful beaded chandelier earrings! 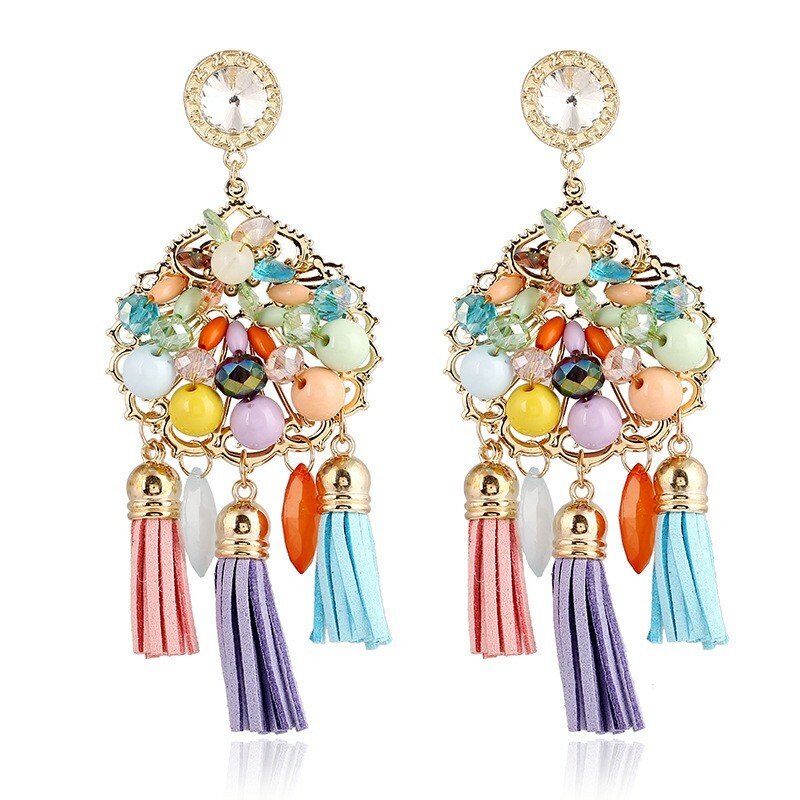 The light, color nature of beads lends itself perfectly to a bohemian earring. 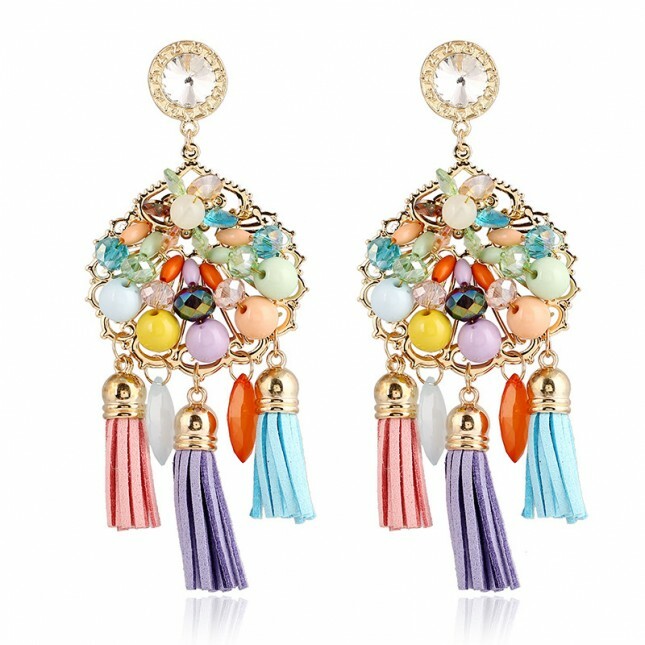 These 9.5 cm tassels move effortlessly with every gesture you make, adding a lovely play of light to any outfit. 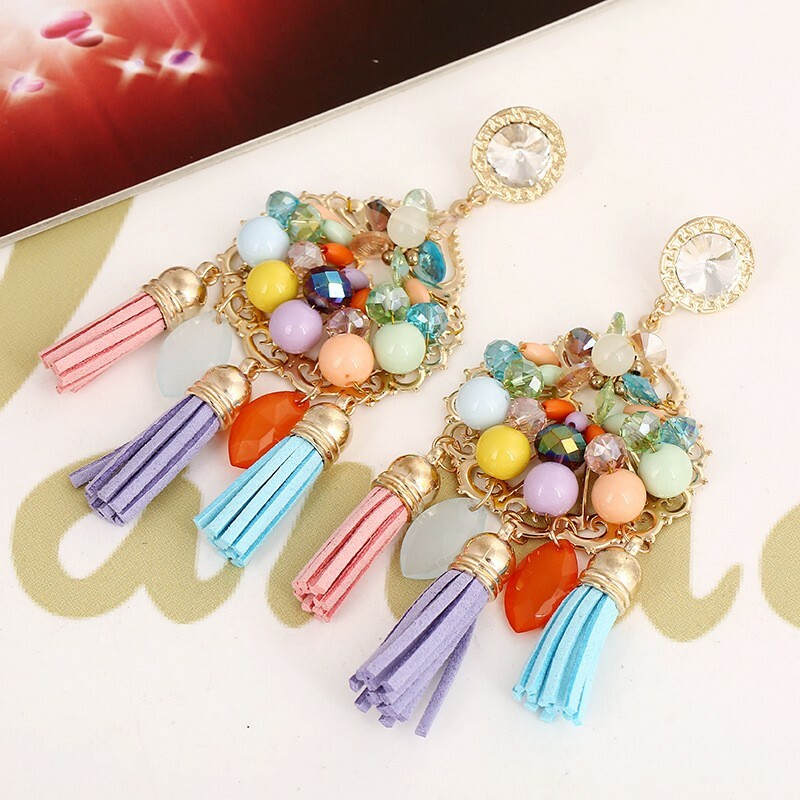 Whether you want to pair these beaded earrings with other beaded jewelry, or with other boho jewelry, you'll enjoy the lighthearted beauty they add to any outfit.